The Team - Who's behind Frontera? Claus Berner, Founder of Frontera. Frontera’s road trips are organized and executed by Claus Berner, who also is your guide along the tours. Claus is a Danish national and has an educational background as economist. He has possessed various management positions over the years in companies in Denmark, the US, England and Spain. His stay in Spain consisted of 4 years in Madrid and he then got the possibility to get to know the Spanish language, people, culture and history. Claus has ever since he moved back to Denmark, visited the peninsula 3 – 4 times a year and there is almost no place in the country Claus hasn’t been to. Since he was in his early twenties, Claus has been driving the motorbike and he has in recent years arranged several road trips to Spain with great success. Jose Luis Alaña, Business Owner, Bilbao. José Luís owns and manages a driving school and conducts courses for motorcyclists on safe driving. 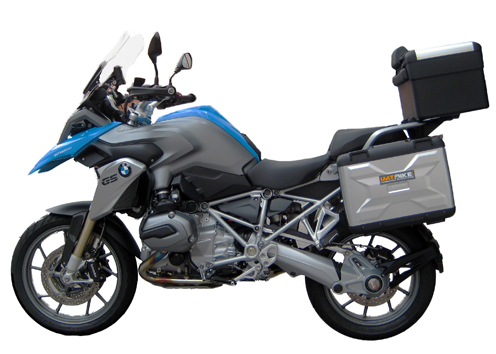 He is a passionate motorcyclist and he cherishes his BMW R1200GS more than most. Jose Luís grew up in the Basque Country and has over the years been riding more than 100.000 km in the provinces of Northern Spain and not least in the Pyrenees and along the Biscayan coast. José Luís is associated with Frontera as route planning advisor and as support guide. Alfonso is educated at the universities of Norfolk (USA) and Madrid. He has travelled widely on most continents over the years including North America and Asia. He has completed the Paris – Dakar race nothing less than four times, hereof two on motorbike. From his stays in foreign countries, which include employment at the Spanish Embassy in London, Alfonso masters the English language to perfection. Alfonso is associated with Frontera as route planning advisor and as support guide. Juan Carlos has a professional background in management and human resources in various Spanish companies. He is co-founder and co-owner of a group of pharmacies and this is where he currently spend most of his working time. Besides doing mountain biking and giving piano lessons, Juan Carlos is a true aficionado of motor biking. Since he was 13 years old, he has been driving a variety of motor bikes and today much time is spent on his BMW R1200GS in the wonderful regions of central Spain. Juan Carlos is associated with Frontera as route planning advisor and as support guide.